The Master Lock No. 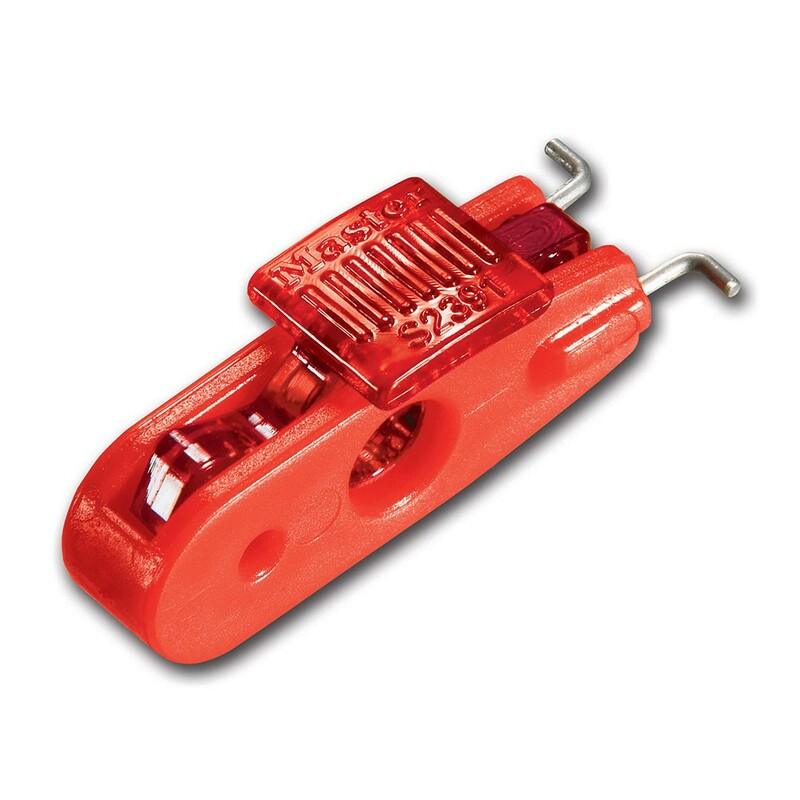 S2391 Miniature Circuit Breaker Lockout Device locks out most miniature ISO/DIN pin-out circuit breakers throughout the world. The patented device fits breakers with toggle openings 11mm to 13mm and works with all Master Lock safety padlocks and most hasps.